To an audience involved with all manner of powered vehicles and machinery, world leader Dana has a compelling story to tell about how its highly-engineered solutions can improve efficiency, performance, and sustainability. Dana relies on several layers of EEI’s expertise to tell its story to various slices of this elite audience at trade shows across the globe. SUCCEEDING ON MULTIPLE LEVELS, ACROSS COUNTRIES, VENUES AND AUDIENCES. 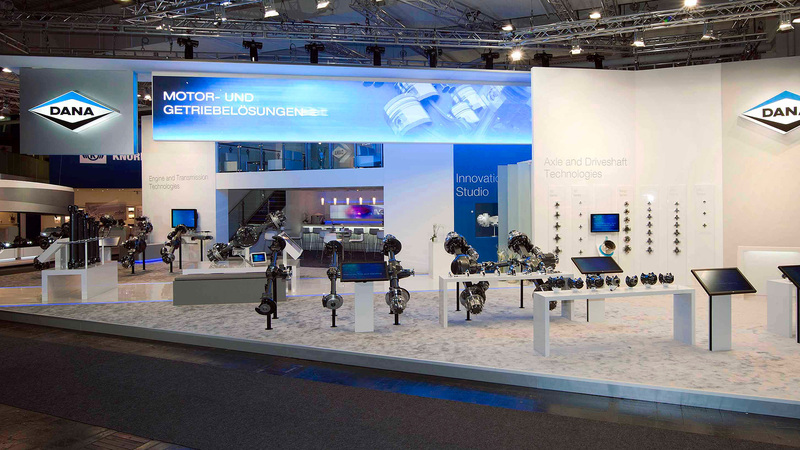 Dana is a fixture at IAA, the world’s leading trade show for transport, logistics and mobility in Hannover, Germany. 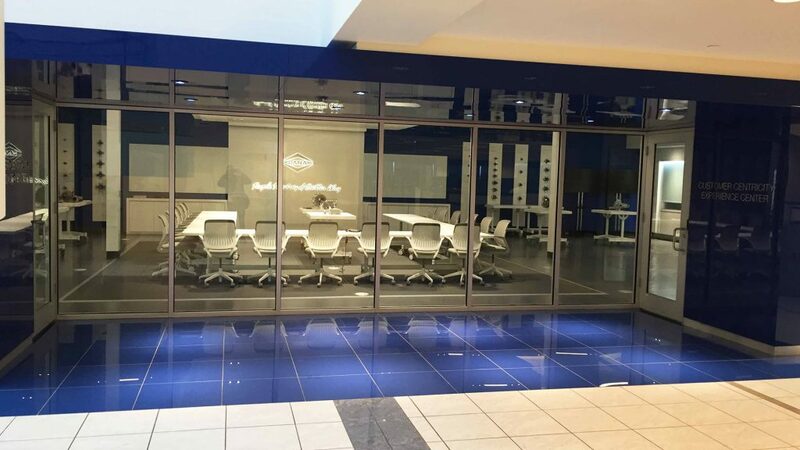 EEI’s display design exudes Dana’s world leadership at the first impression level. 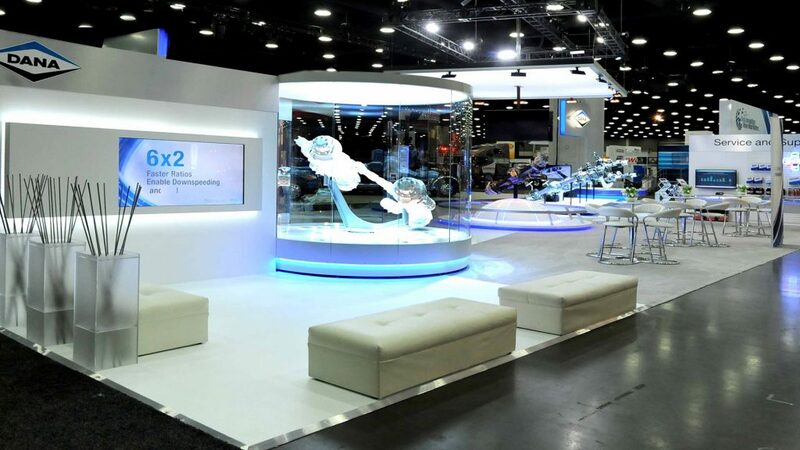 Once inside, the proof positive is animated through various media, including parts and components displays that encourage automotive engineers to drill down to the granular level of Dana’s offer. EEI’s metal machine shop craftsmen make the product shine like jewels. EEI’s thorough grounding in the Dana brand delivers efficiency when Dana needs to adapt its story to different sectors of its audience. 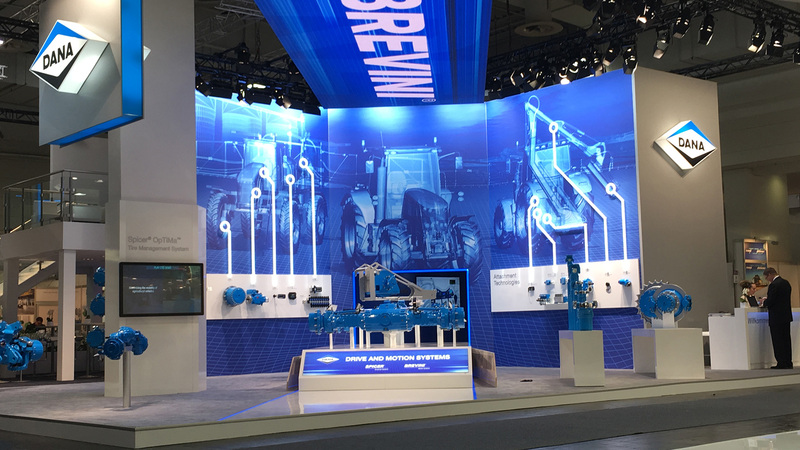 This happens at shows like Agritechnica, also in Hannover, which is geared toward agricultural technology. Or at MATS, The Mid-America Trucking Show, for members of the heavy-duty trucking industry. 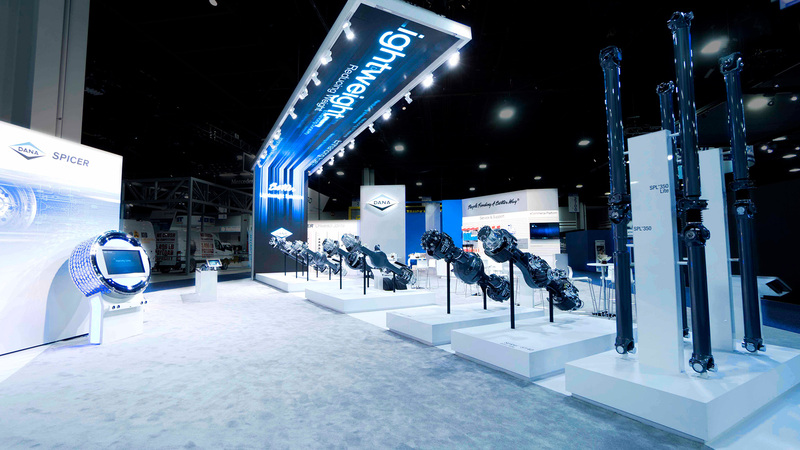 Or at the new North American Commercial Vehicle (NACV) show, inaugurated in 2017, which is targeted to fleet owners. EEI is an instrumental partner in maintaining the global Dana brand character while ensuring the message is relevant for niche points of view. At Dana’s headquarters in Maumee, OH, there’s an opportunity to engage the broadest array of audiences. 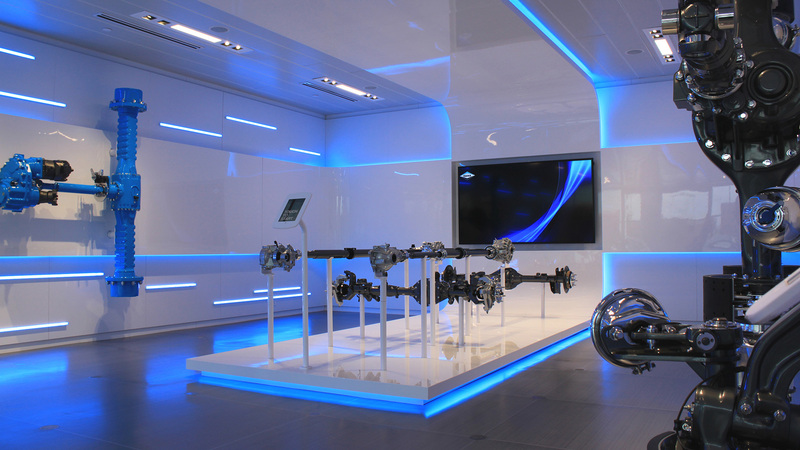 The EEI-designed display not only strikes a triumphant tone for visiting dignitaries and engenders employee pride, but it also enables practical demonstrations of particular solutions for individual customers.